I wanted to make this Mangalore bonda for quite long time. 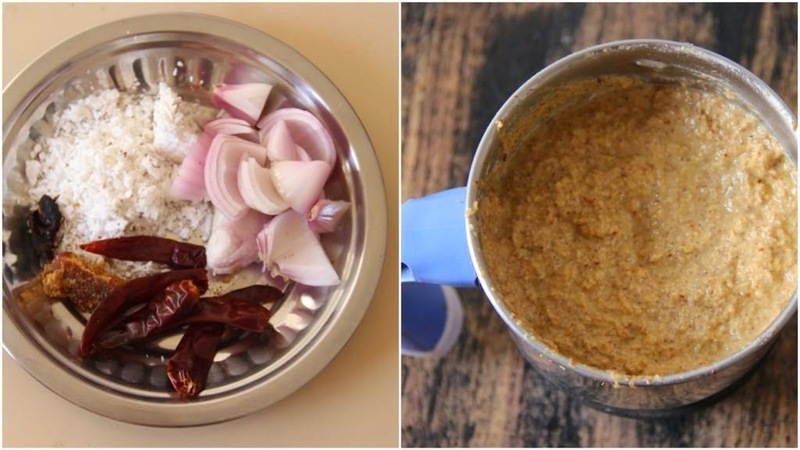 When i saw the Vijay tv program Samayal samayal hosted by Venkadesh Bhut makes me to do this recipe with the spicy and little sweet onion chutney. He has prepared in an authentic way with a tasty dip. 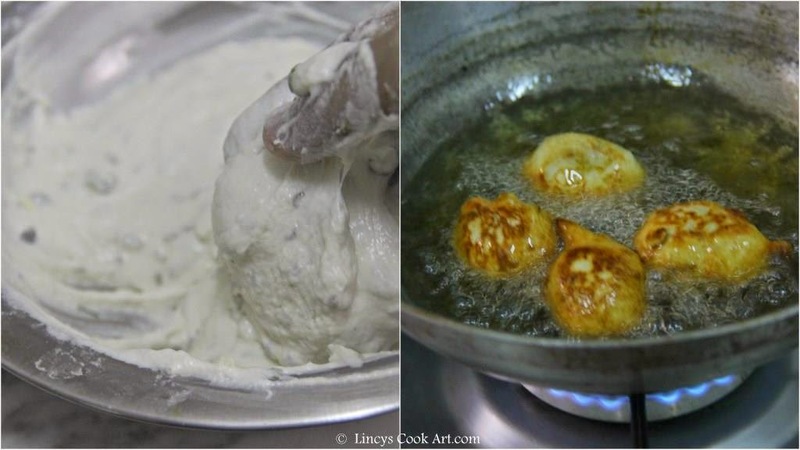 As the dip was so easy to prepare i planned to prepare the same dip for my bondas. I have added little rice flour for the crunchiness and texture for the bondas. Perfect snack for this chill weather with a hot cup of tea. So easy to prepare with in 15 minutes even with a super easy and tasty dip. Slightly crunchy on outside and soft and porous on inside. Tastes awesome with this chutney. Do try this recipe for this winter and let me know the feed back. In a bow add chopped green chillies, ginger, peppercorns, jeera, curry leaves, asafetida, salt, baking soda, maida, rice flour and curd. 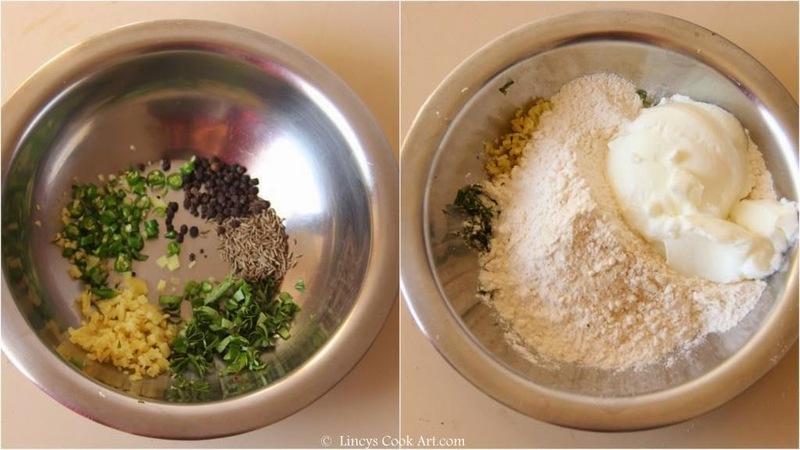 Mix well and beat with hand to make a thick but dropping consistency. 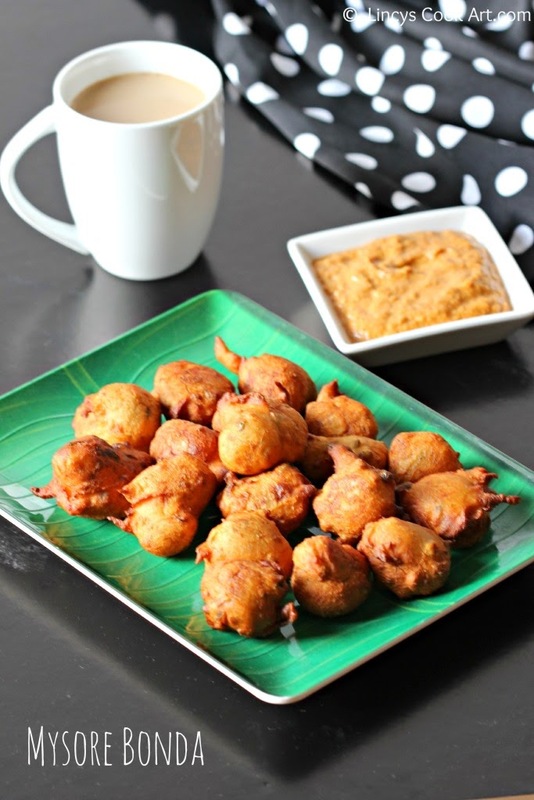 (Medhu vada batter consistency) Add extra curd if needed. Allow the batter to ferment for about 15 minutes. Heat oil in a pan and beat the batter with hand for a minute and drop gooseberry sized batter into the hot oil and fry till golden brown. Drain from oil and serve with spicy onion chutney or coconut chutney. To make Onion Chutney combine roughly chopped onion, coconut, jaggery, dried red chilli, tamarind and salt. Add some water and grind well to make a fine puree.